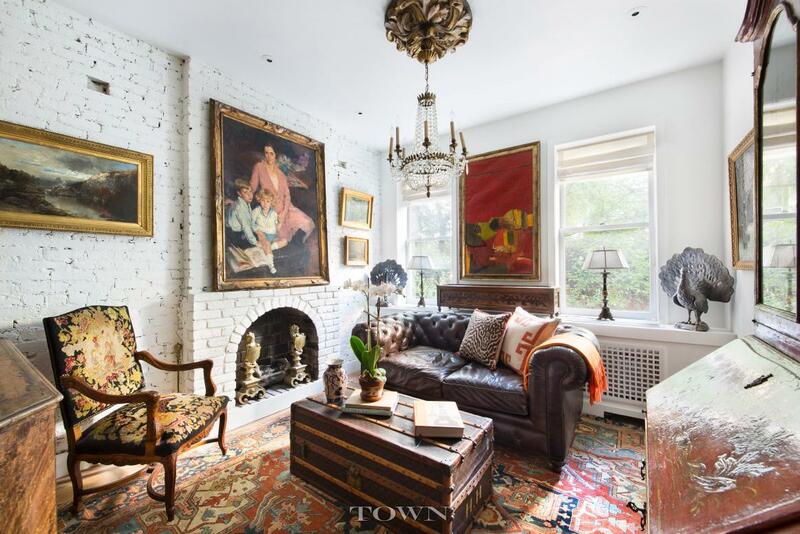 If you’re looking for an apartment that’s, as the saying goes, “perfect for one person or a couple,” this charming Chelsea co-op at 335 West 21st Street looks to be every bit the “jewel box oasis” the listing claims. 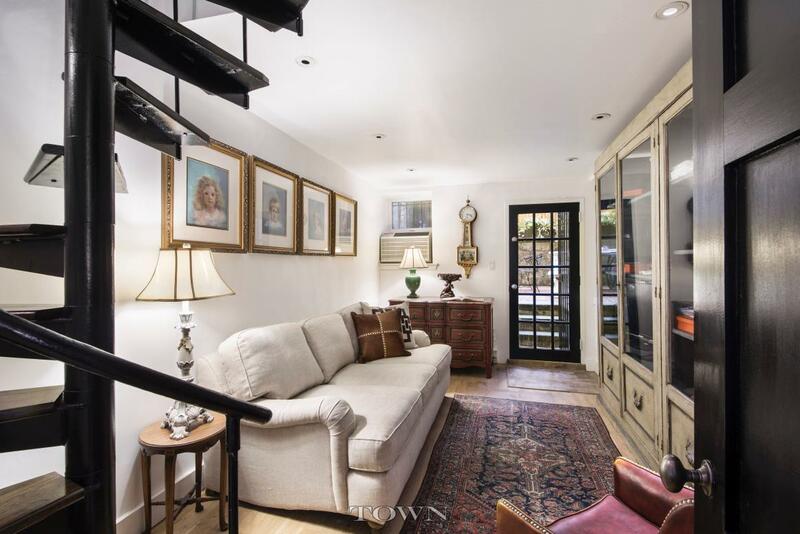 On a prime and pretty block near the High Line, asking $1.395 million, this one-bedroom-plus-den duplex has been optimized for livability–if you can live with a few flaws. 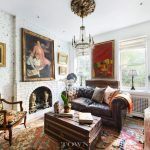 Enter on the top floor of the duplex and you’ll find a sunny living room brightened by white-painted brick and (visually) warmed by a decorative fireplace. 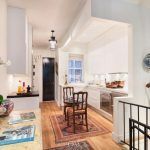 Ten-foot ceilings and Russian white oak plank floors make the space feel airy and modern, as do the creative use of space and custom finishes in the home’s kitchen. 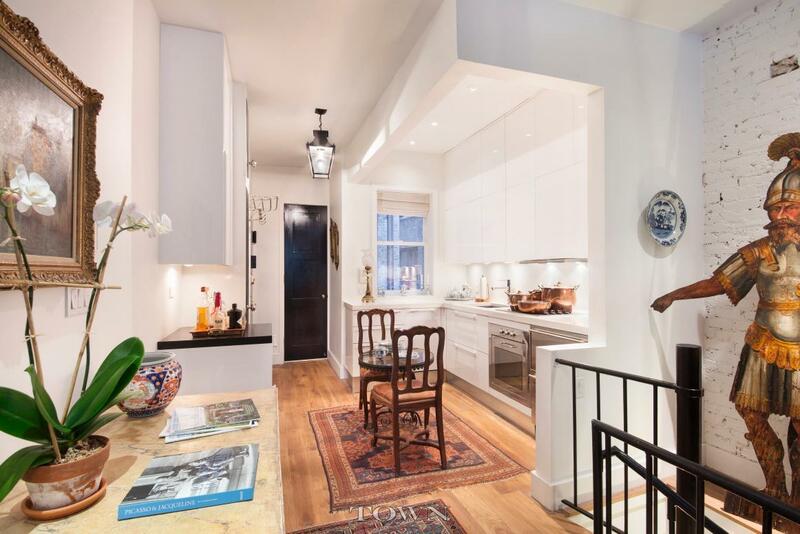 This “masterwork in space-saving European design” boasts stone countertops, a Smeg oven, a Miele glass cooktop, hood and dishwasher and Marvel and SubZero refrigerator drawers. 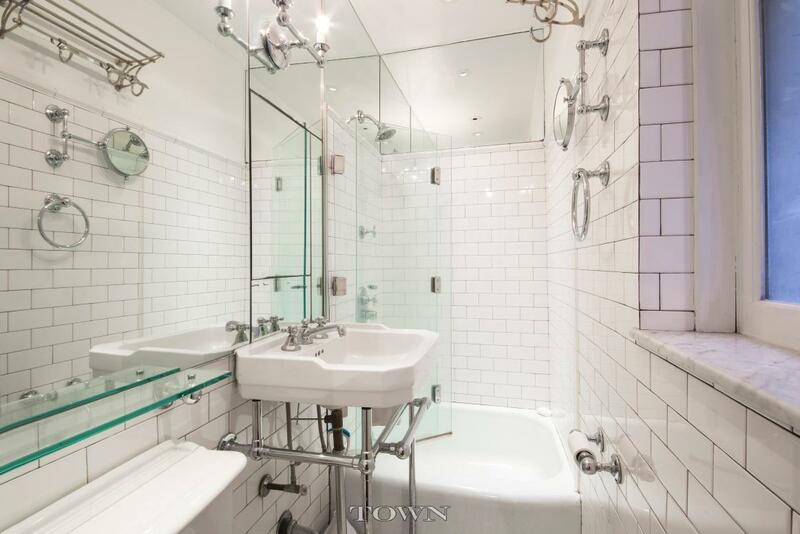 Also on this floor, the bathroom is another shiny bauble in the jewel box, done in chic white subway tile and chrome. 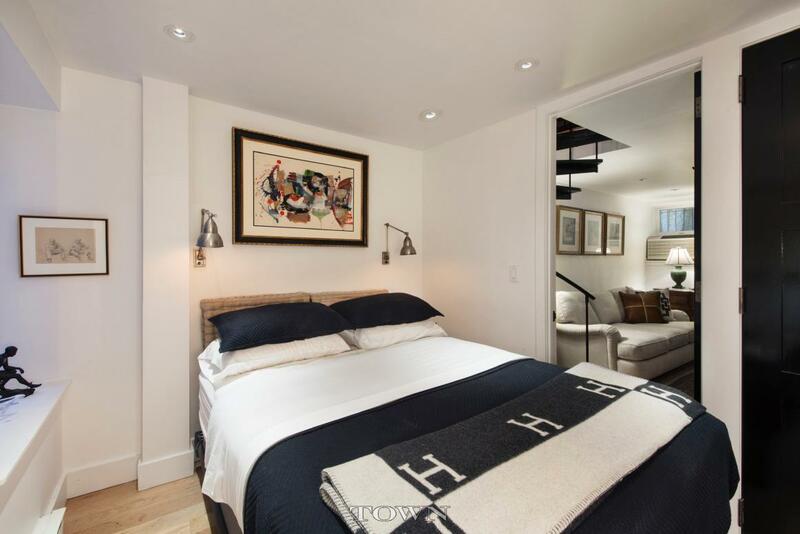 Down a spiral staircase to to the lower level are the more tranquil bedroom and den/guest room/office. 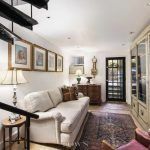 While the bedroom is indeed away from the noisy bustle of the city, it’s also away from the bathroom, with the aforementioned spiral staircase between the two. 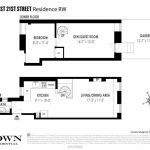 And though the bedroom closet’s called “roomy” in the listing, its size on the floor plan gives us pause, especially since it’s the only one in the unit. 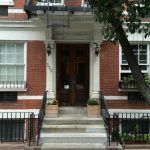 That said, once the home is yours, you’re free to build as much storage as your budget and co-op board allow. 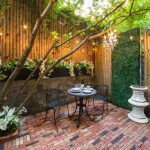 Possibly better than closets, though, is this magical private brick-paved and planted patio space just outside the back door. 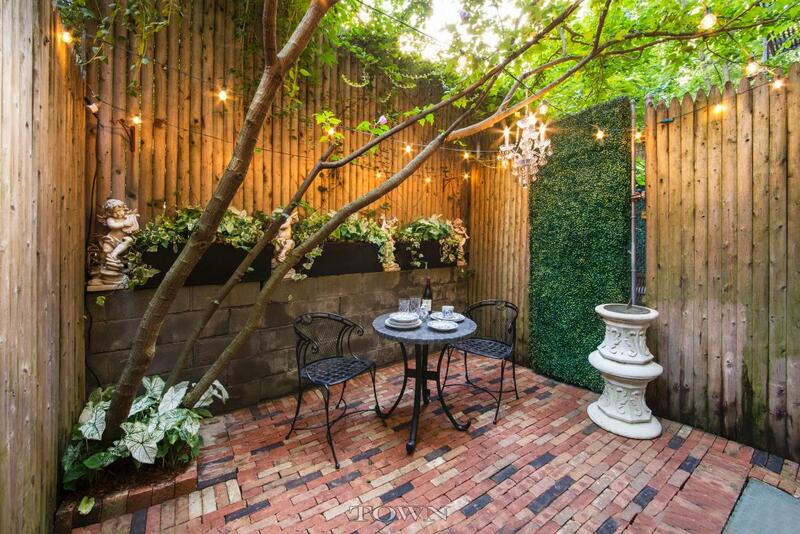 Shaded by a canopy of trees it’s a perfect place to end an evening or begin the day. 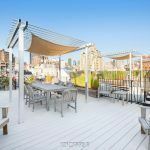 But if you want your outdoor enjoyment to come with glorious New York City skyline views, that’s here too. 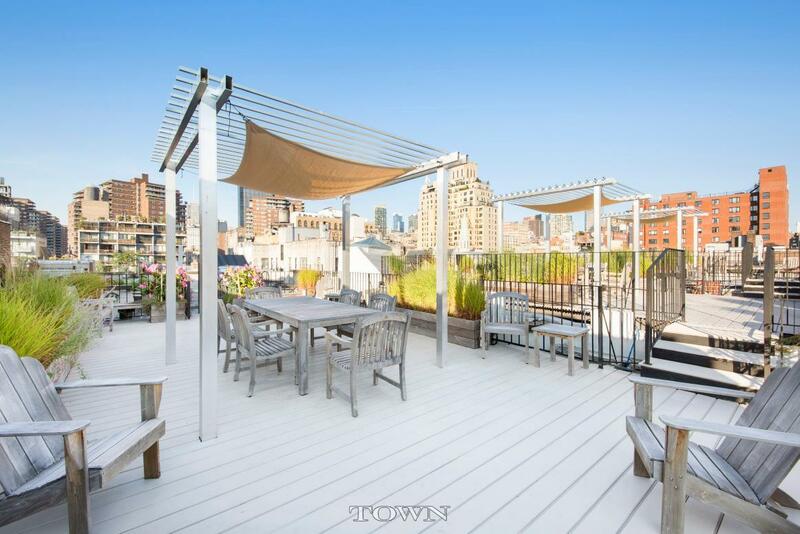 A furnished and landscaped roof deck connects the three buildings that comprise this pre-war co-op. 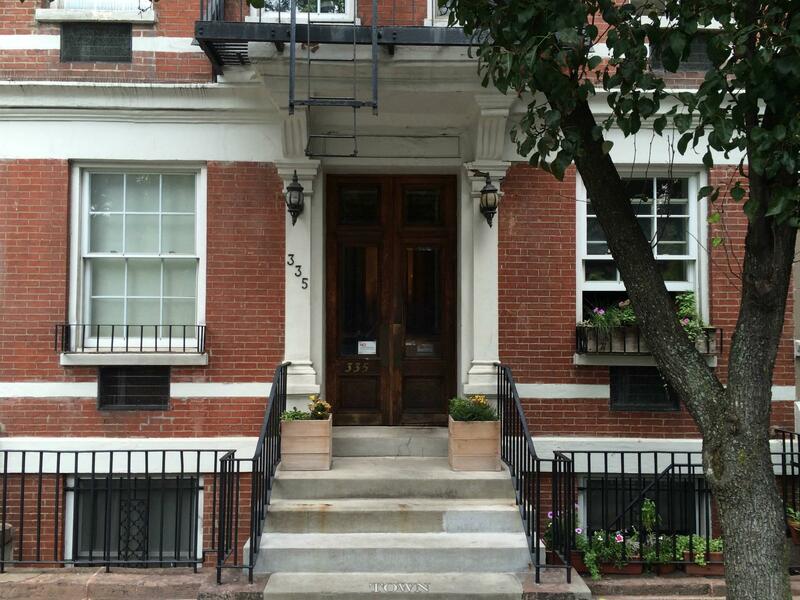 The co-op is, indeed, on a lovely tree-lined block–one it shares with the lovely PS11 elementary school. 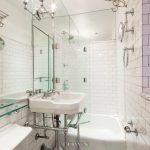 This could be a great perk if you’ve got kids (in which case you’ll probably want a bigger apartment), or it could be a bit of a detriment to all that tranquility, but either way it’s not mentioned in the listing.